The name of the Paulaner brewery refers to the order of friars that resided in Neuhauser Straße in Munich who were part of the order of Saint Francis of Paola. The monks had brewed beer for their own use since 1634. The beer that was permitted to be sold on holidays was a Bock style which gained local fame. After the abolition of the Neudeck Cloister in 1799, the building was converted into a penitentiary. Franz Xaver Zacherl, the brewer, purchased the former cloister brewery and continued the "Starkbier" tradition with the product Salvator, which is Latin for "Saviour". In 1861 the "Salvatorkeller" (Salvator cellar) was opened upon Nockherberg. 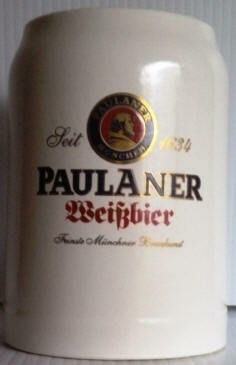 In 1928 the brewery merged with the Gebrüder Thomas brewery creating Paulaner Salvator Thomas Bräu. 1994 saw the acquisition into the Kulmbacher brewery group with the affiliated producers Plauen and Chemnitz. A daughter company is the Auer Bräu AG Rosenheim. Paulaner belongs to the BHI (Brau Holding International AG), a joint venture between Schörghuber Ventures (50.1%) and with the Netherlands' Heineken N.V. (49.9%).